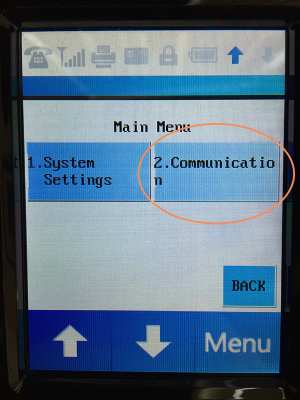 You will need to get the IP Address of the PAX S300 in order to communicate to it from You'reOnTime. 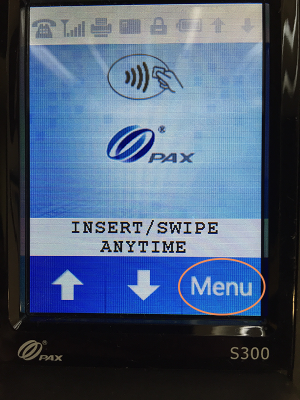 Ensure that your PAX S300 terminal is running and click the Menu (Func + 1) button. You will be prompted for the terminal password while configuring so make sure you have access to it. 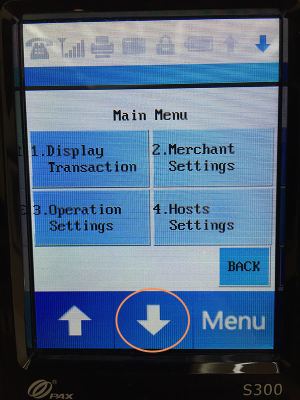 On the menu screen that appears click the down arrow to go to the next menu screen. Click on the Communications button. 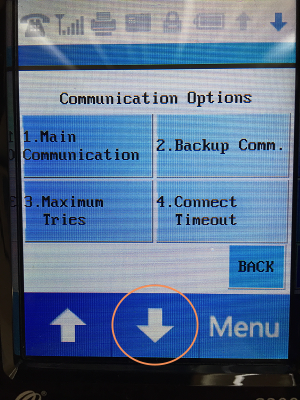 On the Communication Options screen click the down arrow again. On the next menu click the LAN Parameters button. 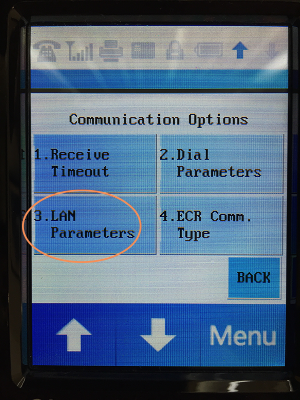 On the LAN Parameters menu click on the IP Address option. And on the final screen, you will see the IP Address displayed. 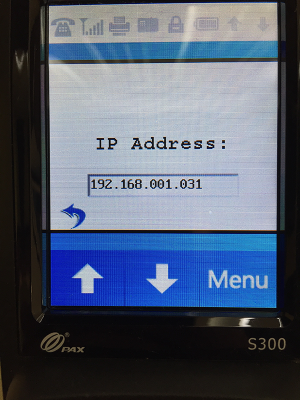 Important, take note of this IP address as you will need to enter it in the next step to configuring your PAX S300.